Neutral is useful for machines and a color palette, but for people, not so much. You can be neutral about a variety of topics, but that kind of neutrality is often hitched up in the team with apathy and ignorance, among others. Will Manchester United win the next FA Cup? I neither know nor care, so I'm neutral. 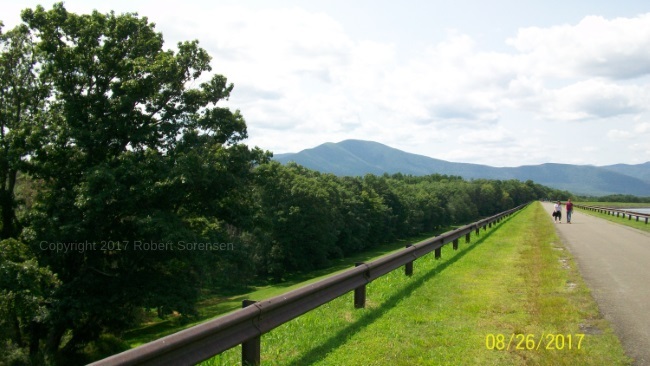 Do you have an opinion on my picture of the Catskill Mountains near the Ashokan Reservoir, or are you neutral. I'm neutral about your opinion. When emotions are involved, it becomes more difficult to remain neutral. From there, we have matters of involving spirituality, origins, and so forth. Whether atheists and evolutionists believe it or not, they have faith-based positions just like Christians have. When discussing God, the Bible, creation, evolution, and other things, unbelievers often say that they want to "leave God out of it" and to discuss on "neutral ground". Sorry, pilgrim, you cannot be neutral. As the late Dr. Greg Bahnsen said about people who want you to be neutral, "They're not, and you shouldn't be". This is not about evidence, as you can "one up" each other until the cows come home. Instead, it is a spiritual matter — something that secularists deny. Why do you think secularists defend evolution so much? It is their creation myth, which is foundational for atheism. The neutral ground plea is actually getting you to admit that the Bible is not true about the heart of sinful man. We presuppose the Bible is true, and they want us to drop our presuppositions and deny Scripture, instead standing on their naturalistic presuppositions. Someone may demand that we "prove that God exists using evidential or scientific means", but God has already said that they know he exists (Romans 1:18-23). Also, to attempt such a proof, that the Creator, who is spirit and is not confined to space and time that he created, can be materially proven is a logical fallacy called the category error. Not going to do that, old son. The unbeliever has a worldview through which he or she filters evidence, just like we have. But when you're talking, they are often telling themselves (or maybe telling you as well), "That's not true!" or even calling you a liar because they do not like what you say. They cannot logically refute it, and their worldview is threatened, so they get on the prod. Be firm, and do not compromise on your stand. An honest enquirer is more likely to respect you and be open to Scripture. For a more complete explanation, here is an article that makes some excellent points. Jesus said, “He who is not with me is against me, and he who does not gather with me scatters” (Matt. 12:30). Those seeking to secularise society often claim that their position is the most reasonable because it is the only one that’s neutral—the only one that’s free from influences arising from religious beliefs. Prominent among these is Jonathan Miller, who rejects the label, ‘atheist’, describing himself simply as a ‘disbeliever’. This, of course, implies that he has no belief. How ridiculous! As someone who doesn’t believe in a creator, he must believe the alternative—that life arose by only natural processes. As someone who does not believe in God, he must believe that there is nobody to whom we are morally accountable. Presumably, as an ardent Darwinist, he also believes along with Richard Dawkins that we are no more than ‘survival mechanisms—robot vehicles blindly programmed to preserve the selfish molecules known as genes.